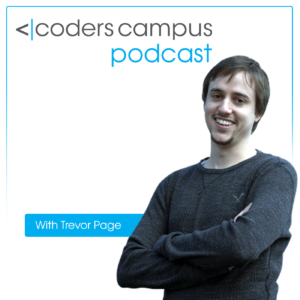 You can subscribe to the Coders Campus Podcast via coderscampus.com/itunes or wherever you subscribe to your favorite podcasts. The Coders Campus podcast will be dedicated to teaching you exactly what you need to know to become a full-stack Java web application developer. I used to host a podcast called the “How to Program with Java Podcast”, but that has since been removed from the iTunes library. You’ll still be able to listen to the old episodes via the howtoprogramwithjava.com blog here.